Whenever I am training a new paramedic I always talk to them about paying attention to "ah-ha" moments. Those moments that change your perspective on something and take you in a totally different direction. I clearly remember my first "ah-ha" moment on the ambulance. I was a new paramedic working with a very experienced paramedic and we responded to a man complaining of chest pain. We placed the patient on the monitor and noted that he had a lot of PVC's (premature ventricular contractions), a type of extra heart beat which can cause pain. The senior medic gave him Nitroglycerin which took away the pain but the PVC's were becoming more frequent. The medic told me to take the next step and give the patient Lidocaine, a drug that I had been told in medic school was very scary, it could kill patients, people would die and the gates of hell would open and we would all be swallowed up. Giving the lidocaine was not a wrong decision, I just felt the senior medic was being more liberal with it than we needed to be. After the call I discussed it with him and he told me that when he first became a medic EVERY patient with chest pain received this drug. He explained how it had been a mandatory part of the chest pain protocol. Nobody died in the ambulance. Nobody was swallowed up by the underworld. Rarely were there any complications. I realized that what I was taught in medic school was simply one persons perspective. That was the day I stopped being scared of Lidocaine. I realized that all my fear about those types of patients had been perpetuated by one persons view and sometimes it is important to gather more information and learn to look at something from several perspectives. It was my first ambulance "ah-ha" moment. A few months ago I was reading through my blogs and noted an entry by Carole Ohl on her blog Open Seed Arts. It was a post about the tangle Puf. Puf is one of those magical tangles that in one step looks like just a bunch of lines and by the next step has suddenly transformed into a magical pattern. It reminds me of Cadent, Huggins, and Dragonair (a new favorite from my fellow CZT 7, Norma Burnell) in that regard. I put it my mental list of tangles to try and didn't think much more of it. A few days later I was at work and was working on a japanese journal and needed to cover a large section that my 2 1/2 year old niece had drawn some unsolicited "strings" on for me. How could I possibly be upset with her? I thought Puf would do nicely and since I didn't have a computer handy I just did it from memory. Puf is normally done in a grid but some of my areas were larger than I like so I simply split a few of the squares. I really liked the end result. I was enjoying this new tangle a lot and started including it in some of my work that I post on this blog. One day someone sent me a comment asking what tangle it was. I wanted to send her the link so I went to Carole's blog and looked up Puf. I was a little startled at what popped up. I remembered reading the entry but the directions for Puf did not match the tangle I was doing at all. The end result was similar but still different. 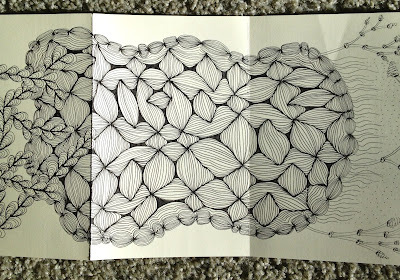 I searched the internet, my notes, my Zentangle books looking for the tangle but to no avail. Finally I sent it to Linda Farmer at Tanglepatterns.com (if you use her site at all, please read this post ) and asked if she knew what it was and she thought I may have created a new tangle. However, in the pit of my stomach I still didn't feel like it was completely mine. Several weeks passed and I finally took my long awaited trip to Providence for CZT training. We were gathering for dinner the first night and I realized that Carole Ohl was standing in front of me in line. I was so excited. I have being doing beadwork for years and have completed many of Carole's beautiful jewelry patterns. When I discovered that she also did Zentangle I was thrilled because I felt I had found a kindred spirit, a beading/Zentangle hybrid just like myself. What I didn't expect was for her to be at the conference, much less standing in front of me in line! Like a typical groupie I introduced myself (or in this case yelled "oh my God, your Carole Ohl!) and joined her at her table for dinner. She was there with her husband and several friends who were all very lovely. We chatted for a long time and I felt like I had met a group of people who truly understood why I am so enamored with Zentangle. I talked to Carole several more times during the training and while I was standing at the back of the room one day somebody pointed to the mystery tangle in my journal and asked what it was. I had considered asking Carole what she thought of it but was worried she would think I was "stealing" her work. I was so worried I would offend her. I thought about it for a few more hours that day and then decided "What's the worst that could happen?" so I took it over and showed it to her. I gave her a little background about how it came to be and she just said "Wow! It's like Puf but at the same time it isn't." We agreed that the end result was slightly different but the steps did not resemble each other whatsoever. I asked her if she thought it was a tangleation of Puf or a completely different tangle and this is when the "ah-ha" moment occurred. Carol explained to me that even though the end results were very similar, the difference in the steps and the journey to the end result was what made these two tangles different in her eyes. She explained to me that to her the process of Zentangle is the meaningful part, not the end product. What struck me is that Carol didn't seem interested at all in the ownership of the tangle as much as the mutual inspiration that had come out of it. That was the day I felt like I truly learned what Zentangle was all about. Carole encouraged me to demonstrate the tangle in front of the whole class the next day. I was ok with that but realized it would need a name. I had considered Abyss because I thought it looked like the bottom of the ocean, Marryona, a play on the Mariana trench, or Dent because of the way that some of the pieces "dent" each other. After I left the class that night it became clear however, that I would name this tangle Socc because it was done in the Spirit of Cooperation with Carole. Only fitting, don't you think? This pattern is wonderful. I'll be adding it to my collection. Thanks! Enjoyed your journey as much as the product! 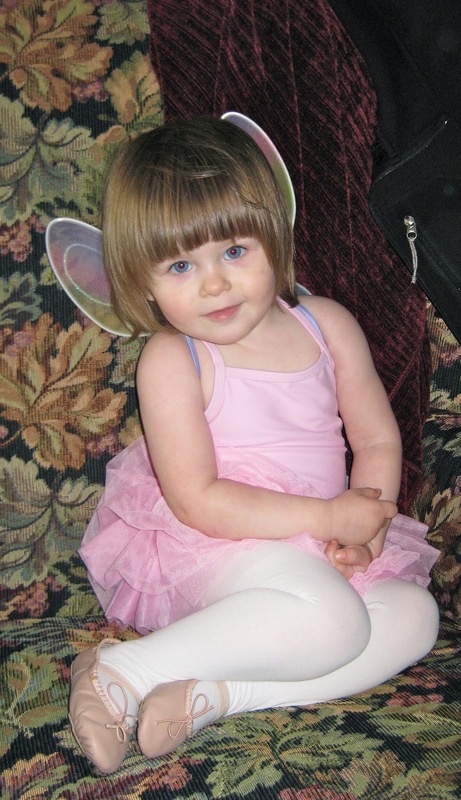 Loved the oppourtunity to see my grandaughter on your blog! Your talent nevers ceases to amaze me and now you can say you are a published zentangle artist! Great pattern, can't wait to give it a go. Thanks for sharing the back story. This is definitely being added to my tangle notebook. 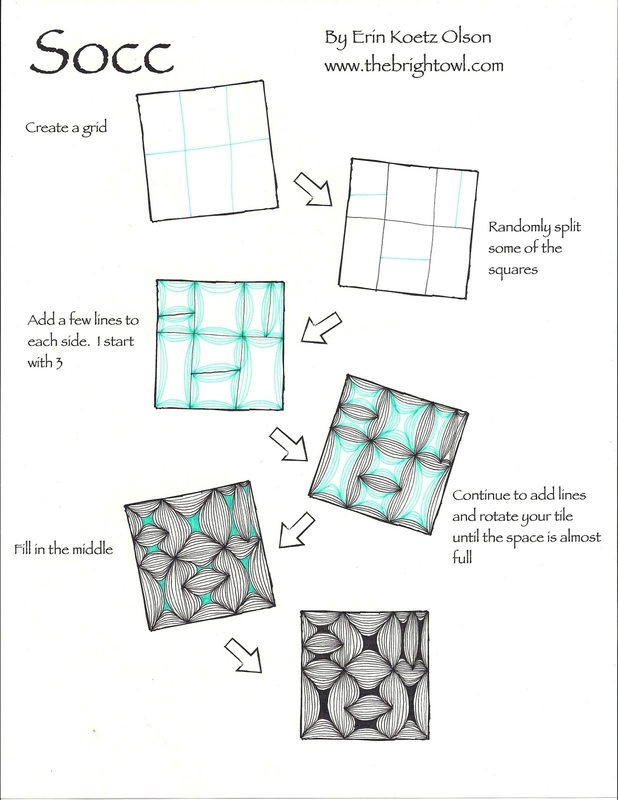 However, the best part of the post is the story of its birth ... and a reminder about the underlying connection of Zentangle. Thanks so much for sharing. @Three Rabbits, I'm glad you got your accordion book, they are so much fun. When I am having trouble starting one of those sometimes it's easiest to draw a simple shape (i.e. circle, square, oval) and fill that with a tangle, then I just build off of that. I can't wait to see what you come up with! Yes, the journey means so much more than the destination. Thank you for sharing the story behind your tangle. I look forward to using it in my ZIA. You are an amazing, talented, bright and beautiful person, Erin. Hi Erin from another beader! 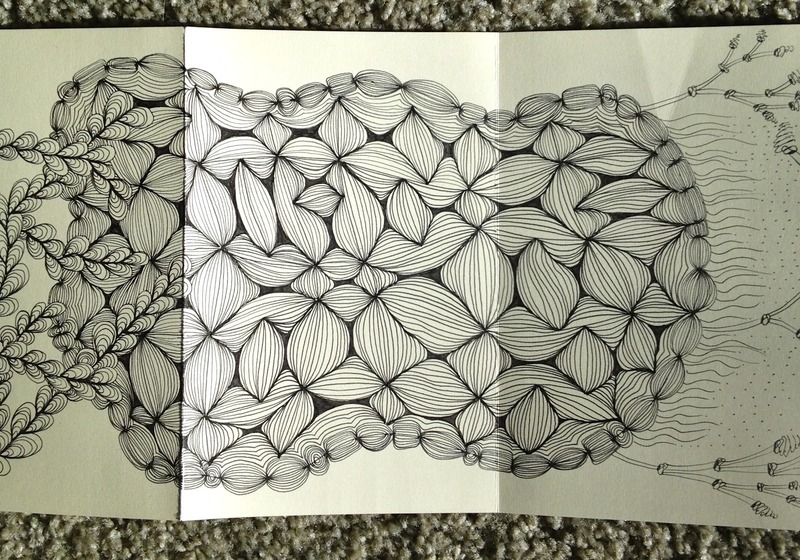 Isn't it interesting how many headers there are in the Zentangle world? I love your new tangle. I'll be including it in my Weekly Roundup on my blog on Friday. I like this pattern alot, i will add it to my collection! Thanks for sharing! That niece is quite a charmer! I like Socc too and will try it soon. Hello Erin, I too am enchanted with Zentangles, and love this current one that you've posted. Cute niece as well. Thx for sharing this I think this will get added to this weeks tangle meditation. LOL Perfect for my art and spirituality moments. Blessings! Thanks for sharing this Erin! I was so disappointed when you showed us this at CZT7 - I was standing in line to present my "homework" and couldn't write down how to do Socc when you showed us. Like Puf, this will probably become one of my "old faithfuls!" I discovered this post a few days ago and since then I have gone gaga over this tangle! I love it and it has been my go to tangle these last few days. Thank you so much for sharing it! This Tangle is "Puff" with an attitude! Love it. I can see that it opens up possibilities to new interpretations as well. Great job on a first tangle. This just became one of my favorite tangles to play with! it's so magic! I like it very much! What a great story. Looking forward to trying it in this week's Diva Challenge! Fun story and fun tangle. Looking forward to using it for the Diva Challenge this week. I love this pattern! It is so organic...but not. It is quickly going to the top of my list. I like this so much and will be using it. Thank you.